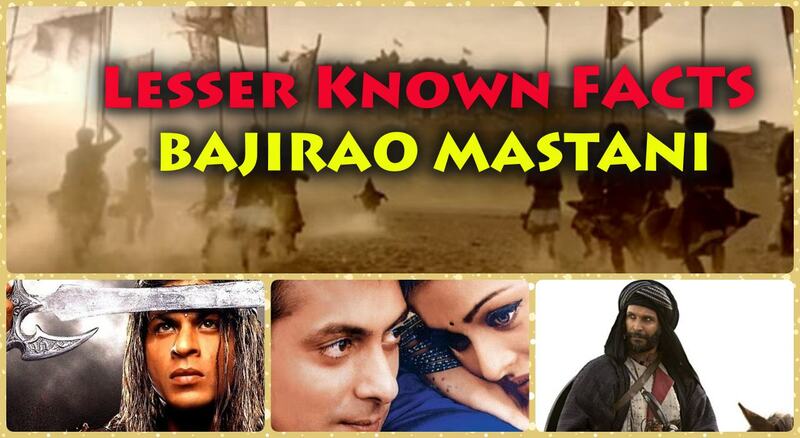 10 Amazing Must-Know facts about Bajirao Mastani! Home Special Featured Story 10 Amazing Must-Know facts about Bajirao Mastani! Bajirao Mastani is the magnum opus of Sanjay Leela Bhansali‘s career. He has been planning and honing the film in his mind for a long time. It’s very important that we all get familiar with these 10 Amazing Must-Know facts about Bajirao Mastani. 1. It was announced 12 years ago! 2. Lots of Cast changes! Over the years, the film has gone through several cast changes. There were rumors that stars like Shah Rukh Khan, Ajay Devgn and Hrithik Roshan have been roped in for the project before Ranveer Singh was finalized as Bajirao. 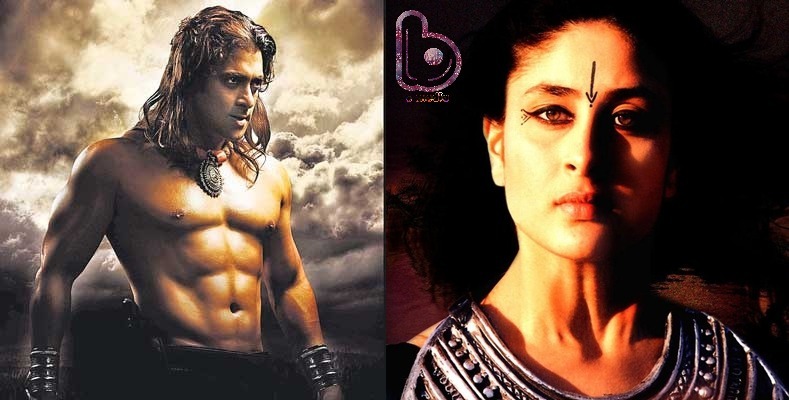 Even Kareena Kapoor and Rani Mukherjee were rumored to be the female leads. Finally, Priyanka Chopra and Deepika Padukone stepped into the roles of Kashibai and Mastani. 3. Salman & Kareena even did a photo-shoot! Salman Khan said in an interview, “Me and Kareena also did a photo session together. I have seen the promo of the movie, it has been done on a large scale. I think all three -Ranveer, Priyanka and Deepika are amazing.” Imagine what it would have been like if Salman and Kareena were in the poster instead! And a lot of Hairs got time off ! As you all may have seen in the promos that Ranveer Singh is bald in the movie. He also had to gain a lot of weight to look the part of Peshwa Bajirao. But it was not just him who went bald for the movie, Tanvi Azmi also did! 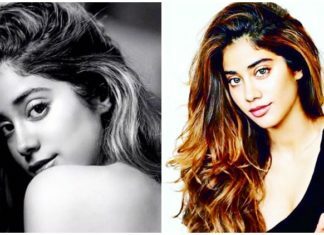 Yes, she will be seen playing the role of Bajirao’s mother. Like mother like son! Milind Sonam too ? WOW ! Bajirao Mastani will mark the comeback of two brilliant actors- Mahesh Manjrekar and Milind Soman. Mahesh will play the role of a Maratha king in the film and Milind‘s role is still not public. Undoubtedly, it would be a delight to see them on the big screen again! 6. 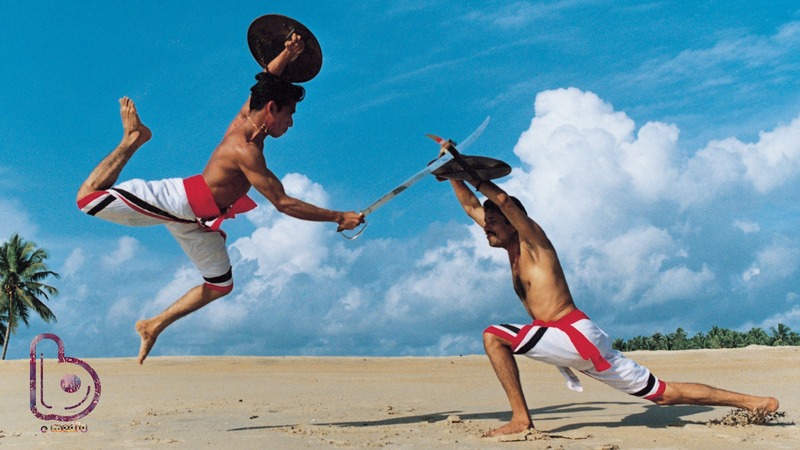 Ready for some Kalaripayattu? The film will have a lot of action and war scenes & to make them perfect, Bhansali approached Daksha Sheth to train the actors in Kalaripayattu- an ancient Indian Martial Art. If you must know Daksha is Kisna-fame Isha Sharvani’s mother. Apart from Kalaripayattu, Ranveer Singh also took Marathi horseback riding and horse riding lessons for the movie. For her role as Kashibai, Priyanka Chopra underwent a 15 day course to polish her Marathi dialect spoken at the time of the Peshwas. Daksha Sheth also trained Deepika Padukone in Kathak. 8. Not easy for Deepika & Priyanka! And this was the best delight ! 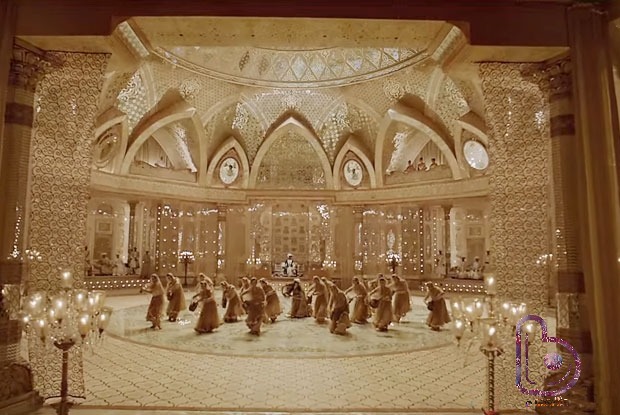 The ‘Aaina Mahal’ was recreated in Film city. Over 20,000 intricately designed mirrors were put together and special craftsmen from Jaipur worked on the embedding of the mirrors to maintain authenticity. The massive set measured 12,500 sq feet. The most amazing thing about the mahal is that one angle of the frame reflects in 20,000 mirrors. The ‘Aaina Mahal’ also had 13 chandeliers which had to be lit up every few hours with candles, instead of traditional electric lighting. Amazing! 10. 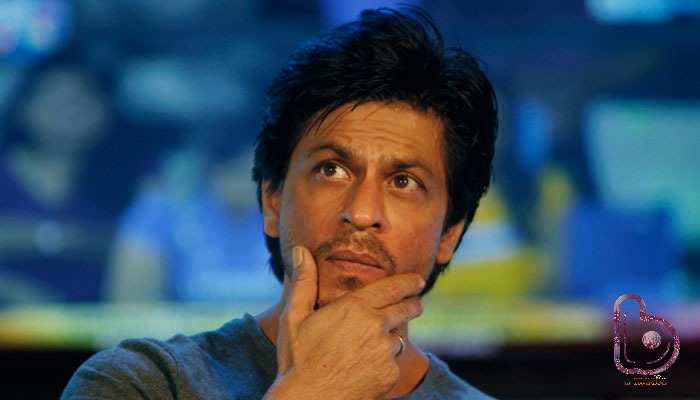 SRK is not happy about the clash! Shah Rukh Khan has worked with Deepika Padukone in Om Shanti Om, Chennai Express and Happy New Year. Now their upcoming films- Dilwale and Bajirao Mastani are going to release on the same date i.e. 18 December and this is what he has to say about it- “I can say Deepika is a lucky charm and it’s not good that both our films are coming together. But I think in this period both can do well.” Only time will tell!